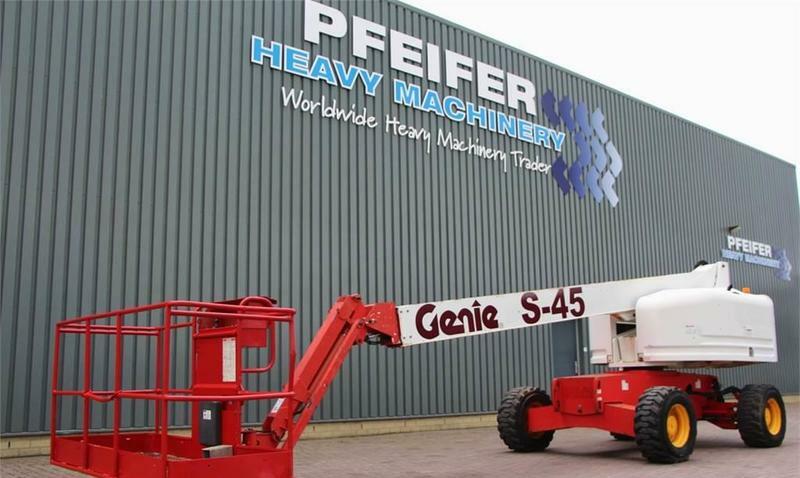 Check the technical data of the unit, picked out from the catalog of GENIE S45 telescopic boom. Gross Vehicle Weight: 7180 kg. The details on axles, suspension and euro norm include: front tires: 50 %, rear tires: 50 %, tires: Wide Wall.